We, the people’ is how the preamble to our country’s wonderful Constitution starts, but isn’t it sad that we, the people, are constantly engaged in ‘othering’, even 70 years after Independence? We are constantly dividing ourselves into various baskets of ‘us’ and ‘them’ — whether on the lines of gender, religion, sexuality or any other differentiator (for instance, who would have thought that in 2017, the word ‘lynching’ would have become part of everyday vocabulary? But that’s a topic for a whole different column). Now, in this ‘othering’ process, one of the paradigms that many urban ‘people like us’ use is that while we live in ‘India’ (and this might connote, in our imagination, constructs like being sophisticated, having shining new roads, tall buildings, a rising Sensex and global superpower dreams), our not-so-lucky fellow citizens live in ‘Bharat’ (which we imagine as rural, poor, backward and all of that, but what a market opportunity, no?). Do we ever engage with and try to understand this imaginary other? Of course not. How can we? Stories from rural India hardly find space on the front pages of most national newspapers or get any talk time on the 9 p.m. news panels and we don’t even bother to ask why. Thankfully, there are some amazing individuals who not only ask questions about this inequality, but are doing their best to overcome it. I was delighted to meet some of these superheroes last month when they visited our Culture Lab, and I want to share their stories with you, dear readers. 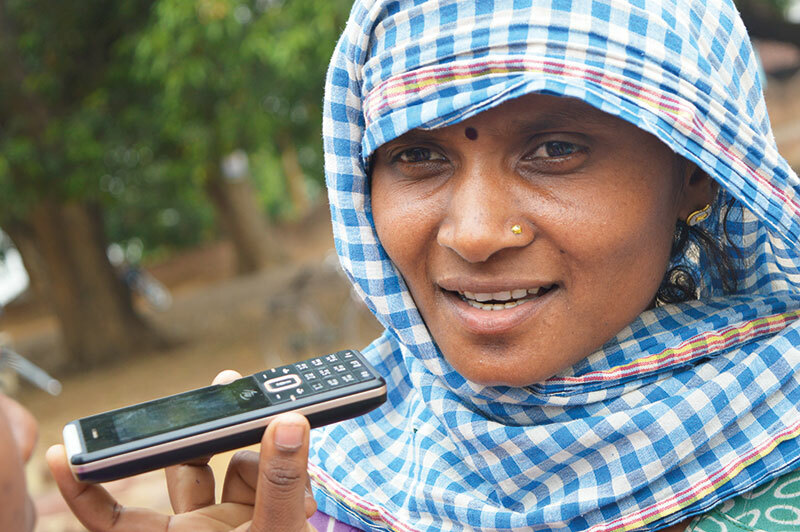 Through a jugaadu use of technology, the different community media efforts are not only enabling citizens from across small towns and rural India to tell their own narratives, but also leading to actual resolution of problems on ground. Winner of the Ramon Magsaysay Award, the legendary P. Sainath needs no introduction, but if you still haven’t heard of him, go get yourself a copy of his classic Everybody Loves a Good Drought or, better still, log on to the People’s Archive of Rural India (PARI) (ruralindiaonline.org/) — his volunteer-driven initiative. PARI is already the biggest repository of information and stories about rural India — and its makers are only just about getting started with all their ambitious plans. 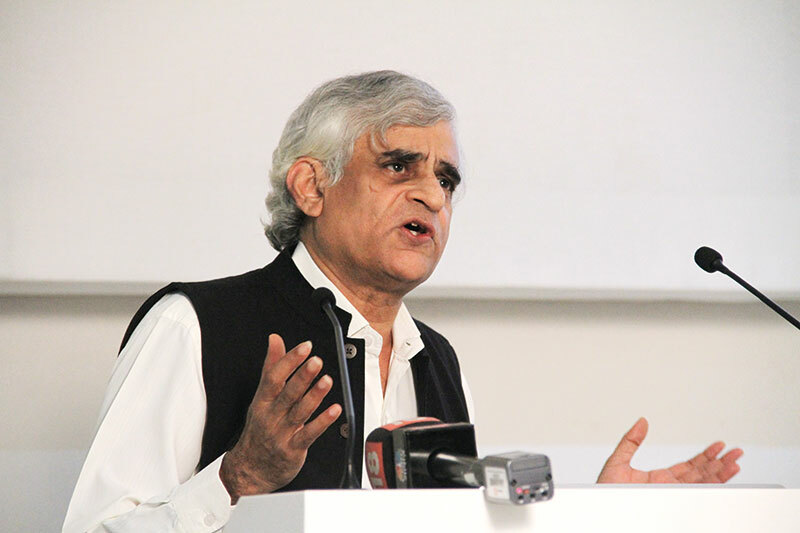 While Sainath’s numbers were bleak — his attitude was not. “Somewhere between cynical pessimism and blind optimism, there exists an island called hope. I live there.” From this island of hope, he and his team have created PARI — which is both an archive and a living journal of the amazing changes taking place in rural India today. When you explore this website, you will find sections like Faces housing gorgeous images of the diverse beauty that exists in our country — their team has captured portrait photographs of citizens from each and every district in the country. Foot-Soldiers of Freedom is another section I adore. This is an account of still-living fighters from our country’s freedom struggle from across rural India, such as Captain Bhau, who led the daring Toofan Sena raid of June 7, 1943, on the Pune-Miraj train carrying the salaries of officials of the British Raj in Satara, Maharashtra, and then distributed the money from the train to the villagers nearby. My favourite section though is the Grindmill Song Project, an audio repository of one lakh songs sung by women. Over 3,000 performers across more than 1,000 villages lent their voices for this project that was originally conceived by the late Hema Rairkar and Guy Poitevin, who were social activists, scholars and founders of the Centre for Cooperative Research in Social Sciences in Pune. PARI has now taken over this project — and I am not going to tell you anything more except that you simply have to visit the website and listen. This is what our country’s citizens need first and foremost — someone to listen to their amazing experiences. You can understand and hopefully act later, but first, just listen — with attention — and you will find that your barriers of ‘us’ and ‘them’ will dissolve even before you know it. It was very inspiring to listen to Meera Devi, chief reporter at Khabar Lahariya, which began as a newspaper from Bundelkhand — a hilly region that spreads across Uttar Pradesh and Madhya Pradesh. Today it is a newspaper published in Bundelkhandi, Bhojpuri, Awadhi, Hindi and English — accompanied by a website, a video channel (their Kavita Show is simply amazing) and an excellent Twitter account. Everything at Khabar Lahariya is women-run — from the journalism to the marketing. Can you think of one media network in urban India that is entirely women-run? I can’t. They are dismantling patriarchy, one news story at a time. I also had a chance to listen to documentary film-maker Stalin K. after many years. I first heard of him in an episode of Satyamev Jayate — which featured India Untouched, one of the 15 award-winning documentaries he has made. 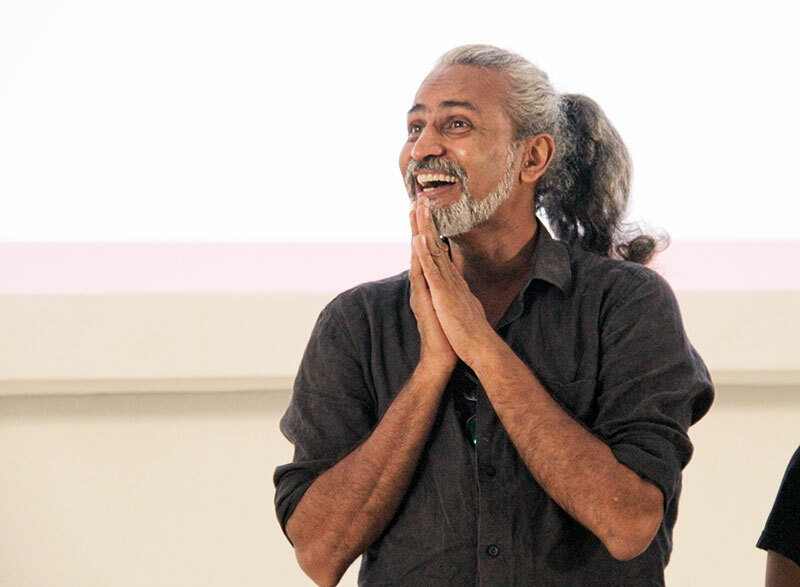 He travelled a distance of 25,000 kilometres across India to catalogue the continued prevalence of the caste system, and a large part of that episode was dedicated to showing clips from the film. Since then, I have been lucky to visit him and his partner Jessica Mayberry in Goa. From a small home there, they run Video Volunteers, an organisation which trains members of marginalised communities to document their own stories. Then the Video Volunteers’ team distributes these across a range of media to ensure that these tales are heard and that follow-up action is taken. Stalin brought with him three community correspondents from Mumbai. Zulekha Sayyed, Amol Lalzare and Yashodhara Salve — and together they discussed the different stories they had reported on — such as the flooding over of a pipeline in the Mumbai suburb of Vikhroli, the building of a foot-over-bridge for a station in the town of Vangani for the safety of the visually challenged, and their continuing Khel Badal campaign that aims to dismantle patriarchy. I asked all of them when they stopped pursuing the stories. “Never!” they replied in unison. “We keep at it, till we bring about change.” Do follow them online, dear readers (videovolunteers.org), and see how they report on our country — it is very different from the toxic nightly news bulletins, I promise you. If we travel south from Chhattisgarh, we see that this same spirit of democratisation is shared by Masangari Narsamma from the Zahirabad region of Telangana. She is so fierce that everyone calls her General Narsamma and now this is the name she is famous by. 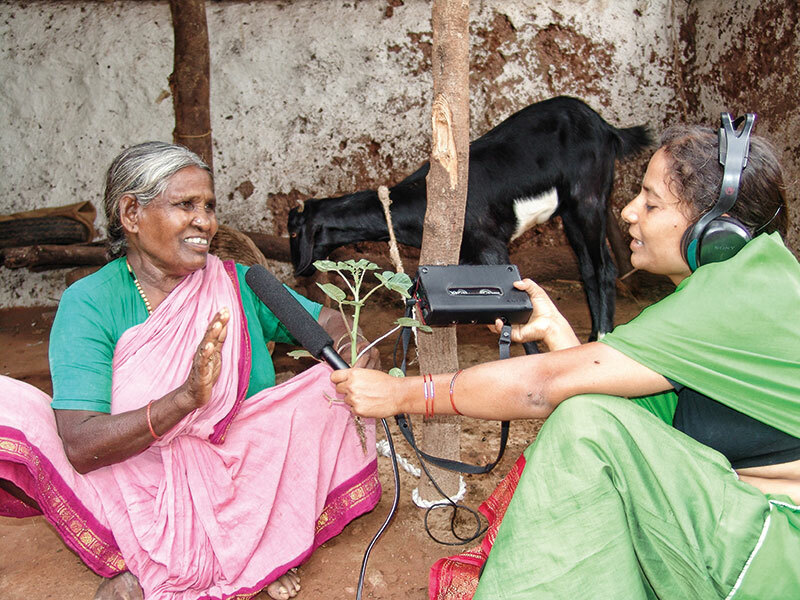 Sangham Radio — that she runs — is a one-woman community radio station and her two-hour daily broadcast between 7 and 9 p.m. in Zahirabadi (a mix of Urdu, Telugu, Marathi and Kannada) reaches nearly two lakh people in 200 villages spread over a radius of 30 kilometres. The villagers tune in using their mobile phones. “Agriculture, health, festivals, music, family problems…we discuss them all,” Narsamma tells us. “We talk a lot about livestock and poultry issues as these matter to our listeners.” The impact of her service, General Narsamma says, is immediate. For instance, women who hear gynaecologists on the show call in immediately to discuss their own problems, and this leads to much better awareness of health issues. Now I could go on and on, but I am going to end here, with a note of gratitude. If there is one thing I am grateful for this Independence Day, it is that we have warriors like Sainath, Stalin, Shubhranshu and General Narsamma in our country. Now obviously you are going to flip the page, but all I ask of you is to pause before doing so. See if anything that I’ve written about has touched a chord. If so — reach out to organisations that you believe are making a difference. The ones I have written about above are a good place to start but if you look all around you, you will find several other change agents who you can join to convert your good intentions into action. They need your money, of course, but they also need your time, your clever ideas and your networks. Remember, it is only through action that we the people can come together and create the kind of society we want to live in together. So, will you do this for your own selves this Independence Day? I am keeping my fingers crossed.